BJ’s Restaurant & Brewhouse is a chain of brewpubs that can be found across the United States. Within their restaurants, they sell their own company’s brew. The environment is one that is a fun and family friendly place, where people can enjoy great food. For information on your BJ’s Restaurant & Brewhouse application, follow the link below. Founded in 1978 in Santa Ana, California by two people who wanted to make deep dish pizzas so they opened their restaurant upon perfecting their restaurant and it became an instant success. By 1996, they had 4 locations along the Californian beachside ranging from San Diego to Los Angeles. This same year, they introduced a brewery which crafted beer that was welcomed by customers. There are currently around 159 restaurants. They are headquartered out of Huntington Beach, California. During the 2010-2011 time frame, they were named one of America’s 10 fastest growing franchises. While they still serve their famous deep dish pizzas, they have expanded their menu to have a variety of options, including kid meals. This company puts a huge emphasis on the importance of serving great food in a fun and friendly environment. They also understand the importance of giving back to the local communities that they serve in. Cookies 4 Kids, which is a program through this company, sale of their specialty dessert helps support the Cystic Fibrosis Foundation. There are many career options for people at this company. There are a variety of positions available between the restaurant and the corporate level. The restaurants offer many entry-level positions for a person to turn their job into a BJ’s Restaurant & Brewhouse career. Some positions include server, line cook, and dishwasher. The corporate level has a variety of positions where any person can find something that is right for their various talents and skills. There are some entry-level positions, but most positions are higher level positions that have more requirements to gain employment. Some corporate level positions include marketing, human resources, and help desk. The different positions at this company have different requirements in order to gain employment. Some positions require no education or experience to get a job. Higher level positions may require a college degree and several years of experience to gain employment. How old do you have to be to work at BJ’s Restaurant & Brewhouse to gain employment? The minimum age of employment is 16 years of age. This company offers very competitive benefits for their industry. Employee eligibility for these benefits can depend on hours worked weekly and job title. Some benefits include health insurance, dental and vision plans. Employees may also receive paid time off, health care flexible spending account, and 401(k). These are only a few of the benefits you can receive as an employee here. The hours of operation for this company can depend on location and holidays. Some holidays may cause closures. For more information on hours, check your local restaurant for details. In general, hours of operation are Monday through Thursday from 11:00am to 11:00pm, Friday from 11:00am to 12:00am, Saturday from 10:00am to 12:00am and Sunday from 10:00am to 10:00pm. Server- A server is responsible for greeting customers at their tables and taking their orders. They will also make note of any allergies or special requests that the customer may have for their food. They will ensure that the order is filled properly. A server will bring the customers their orders, and ensure it is to their satisfaction. A server may earn around $6 an hour, not including tips. Host- The host will greet the customer upon entrance into the restaurant. They will seat customers in a timeless fashion, and inform guests of any wait time that may occur. The host is responsible for keeping the entrance area of the restaurant clean and organized. They will answer phone to take reservations and answer questions about the restaurant. A host may earn around $9 per hour. Line Cook- The line cook is responsible for preparing orders according to the standard company policies and recipes. A line cook must also prepare food in accordance with safety regulations and customer instructions. The line cook is responsible for ensuring the line is clean, and must check food to ensure nothing is spoiled. A line cook may earn around $11 per hour. General Manager- A general manager is responsible for running the daily operations of the restaurant. They will hire and fire employees as necessary. They will also conduct job interviews for job applicants. A general manager is also responsible for the budget and payroll, as well as scheduling their staff in a cost effective manner. A general manager may earn around $65,000 a year. Here are some questions that may be asked during your job interview. Why do you want to work at BJ’s Restaurant & Brewhouse? The interviewer is looking to see what you know about their company and the values that they stand for. This question may require some research prior to your interview. Describe which values that you feel you share with this company and why that makes you a good fit to work here. Was there ever a time that you went above and beyond for a customer? The key to success in this field is amazing customer service. This question will show them how your customer service skills are. Answer honestly, discussing any time where you anticipated a customers need or went beyond what you needed to. What is the best way to handle a rude or impatient customer? This is another question which is used to evaluate your customer service skills. Discuss a situation where you needed to deal with an unpleasant customer and how you best solved it or handled it. Why should we choose you over the other applicants? The interviewer is giving you the chance to sell yourself to this company. Take this opportunity to discuss your strengths and how you feel the company would best benefit from them. Try not to sound too boastful when doing so. What is your biggest weakness? The interviewer is asking this question to establish if you are aware of your weaknesses and how you overcome them. Describe what you feel your biggest weakness is and hour you handle it to be successful. 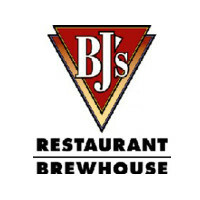 If you are wondering how to apply at BJ’s Restaurant & Brewhouse, you can apply for a BJ’s Restaurant & Brewhouse job at BJ’s Restaurant & Brewhouse jobs online. You may also fill out an application form at your local restaurant. There are no printable applications online. There are no downloadable applications. The easiest way to apply is to apply directly online. The company website has the job descriptions and responsibilities clearly stated so that potential job seekers can find a position that is a good fit for them. You should not apply for a position that you do not qualify for. You need to fill out your application form completely and in accordance with the provided instructions. Remember to send in an updated resume with your application. After applying here, you should hear back within a reasonable amount of time. If not, you can call the location that you applied at to check the status of your application and to see if they are still hiring for that position. They may also provide additional information, including when interviews will begin. You may want to prepare for your interview beforehand. You are able to do this by asking yourself potential interview questions and answering them aloud. This will help ease your nerves. This will help you seem more confident and articulate during your interview. Remember to dress in a professional manner. This will help increase your chances of getting the job. Pizza Ranch: Visit the job application for Pizza Ranch to apply today. Elephant Bar: See our guide for careers at Elephant Bar. Earls Kitchen And Bar: For employment at Earls Kitchen And Bar visit the application page. U.S. Foodservice: See our resource page for more information on U.S. Foodservice careers. Ruby Tuesday: For career opportunities, fill out the Ruby Tuesday online application.